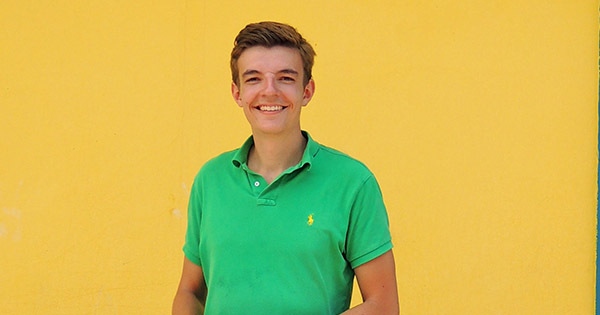 SPICED Stories: Thilo, from Student to Web Developer! Thilo has had a long-standing interest in technology. After trying to start a company, he felt he needed more technical knowledge to really succeed – enter SPICED. What have you been up to after graduating from SPICED? I started working on AI things, like Chatbots and that kind of things. Participated together with a friend in this hackathon from the Dubai Government on Blockchains. Also started learning additional stuff like SASS and started a bit of python. Want to learn more about AI to start building stuff with IBM Watson. Keeping back-end and front-end separated and not mixing up all the stuff we just learned. I guess just trial and error helped me. I think a lot of people had problems with really wanting to understand what they are doing there, I noticed at some point that by just trying out instead of trying to understand them things eventually became clear, that helped me a lot. How quickly we made progress. Before coming to SPICED I thought coding is rocket science, but being able to do the kitty carousel after only a few days gave me a lot of confidence and I slowly started to notice coding isn’t actually that hard. Interested in studying Full Stack Web Development like Thilo? Check out our 12 week Coding Bootcamp!